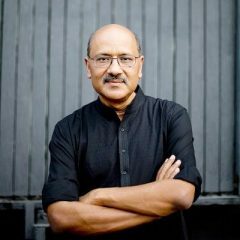 Shekhar Gupta is Founder and Editor-in-Chief of ThePrint, a prolific columnist with the highly influential column National Interest, and a senior prime-time anchor at NDTV – India’s leading English news channel. Shekhar hosts ‘Off the Cuff’ and ‘Walk the Talk’ on NDTV – which see him in conversation with an eminent guest. Past guests have included Indian and global influencers including PM Modi, Michael Bloomberg, Kevin Rudd (Australia), Nandan Nilekani (Infosys), Muhammad Yunus (Grameen Bank), Travis Kalanick (Uber), Ashton Carter (US), and many others. Parking available in the Parking Garage P18, Campus Avenue.